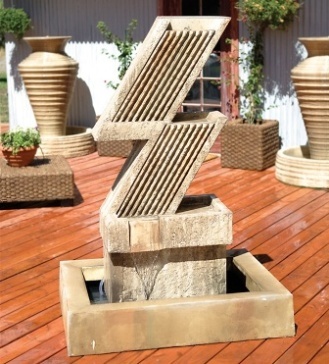 This fountain has a fun zig-zag shape and carved textures which makes the water shimmer and dance as it falls. These sculpted water features will inspire conversation and create an unmatched decor. Your surroundings will be filled with the soothing sounds and beautiful design that will surely make your outdoor setting a serene escape. Designed to be placed on the floor against a wall. 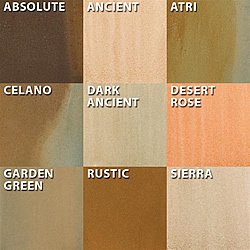 Pictured in Sierra finish.